Pumpkin bread is one of my favorite fall treats! It probably ties with my families recipe for ginger cookies! It isn't officially fall until a loaf of pumpkin bread is made. The recipe my mom has been using for years is hard to beat, but I wanted to try out my own recipe. I decided on a vegan bread recipe. Vegan just means it is free of any animal products and is slightly healthier. I found a recipe for vegan walnut bread by Joy the Baker and then surprise surprise, adapted it a little! I left out the brown sugar and used more whole wheat flour than AP flour. Also I was short on spices so I used a combination of cinnamon and ginger. The ginger gives it a really unique flavor that I think made it extra special! Preheat oven to 350 degrees F. Place a rack in the center of the oven. 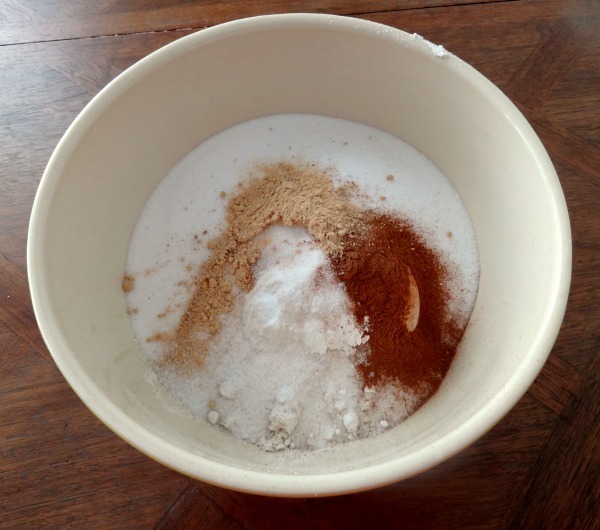 In a large bowl, whisk together flours, sugars, baking soda, baking powder, salt and spices. In a medium bowl, carefully whisk together pumpkin puree, oil, maple syrup and water. Add the wet ingredients to the dry ingredients and use a spatula to fold all of the ingredients together. Make sure to scrape the bottom of the bowl well, finding any stray flour bits to mix in. Divide the dough between the two greased pans. Bake for 1 hour to 1 hour and 15 minutes (1 hour was perfect for me!) , or until a skewer inserted in the center comes out clean. Remove from the oven. Let rest in the pans for 20 minutes, then invert onto a cooling rack. Serve warm. It may be vegan but it is still just as tasty and just as moist! Best the next day with a cup of coffee!